Molecular models provide insights in the following ways. Models illustrate the interaction between CRISPR DNA and viral RNA sequences. They show how Cas9 and related proteins can form complexes to cleave viral RNA. Further, as these systems are widespread in bacteria, models can be used to predict and discover new systems. The excitement (and controversy) around CRISPR/Cas9 makes it a useful example for the classroom. Yet, there is a gap between this cutting edge research and educational use. Basic concepts about immunology, evolution, and inheritance of genetic information can be taught. For example, molecular models and sequence comparisons provide hands on ways for students to explore Cas9-related protein structures from bacteria to learn about differences between homology and convergent evolution. 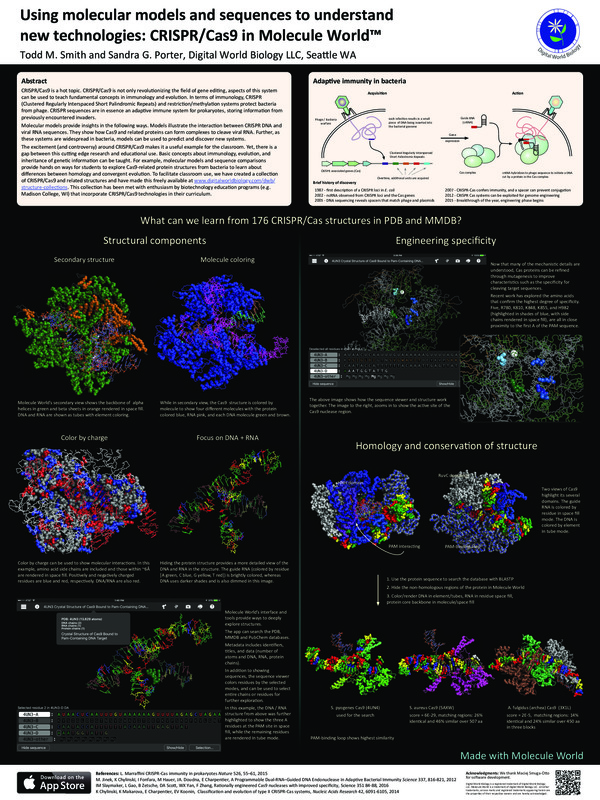 To facilitate classroom use, we have created a collection of CRISPR/Cas9 and related structures and have made this freely available at www.digitalworldbiology.com/structure-collections. 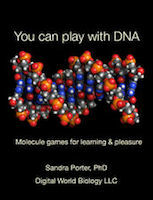 This collection has been met with enthusiasm by biotechnology education programs (e.g. Madison College, WI) that incorporate CRISPR/Cas9 technologies in their curriculum.